The Moon (left), Mars (center), and NWA 7034 (right). The Moon (top), Mars (center), and NWA 7034 (bottom). 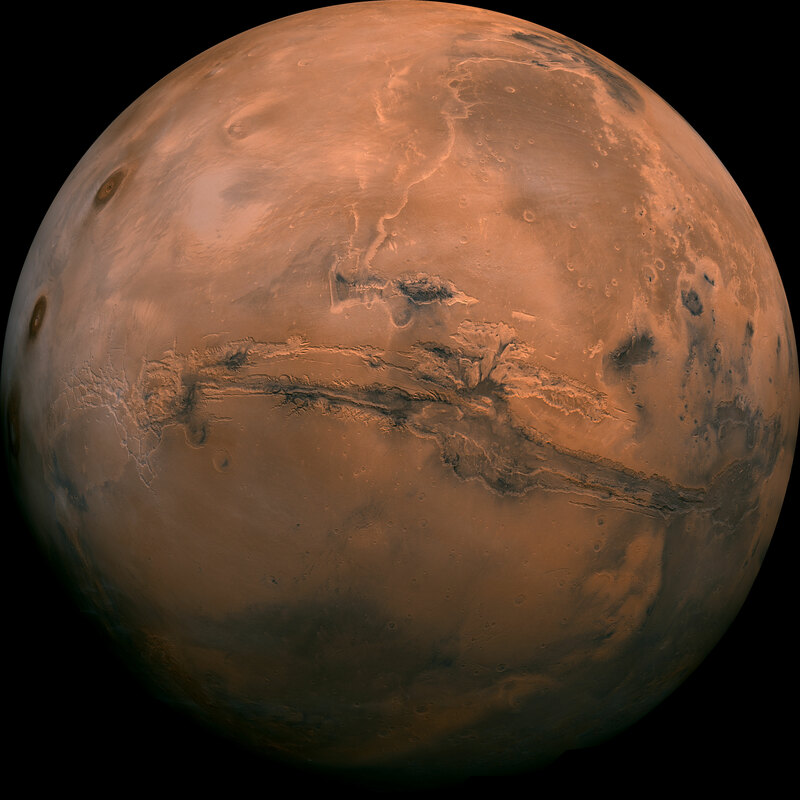 A key priority of NASA's Mars Exploration Research Program is to determine how the stable isotopic, noble gas, and trace gas composition of the Martian atmosphere has evolved through time from its ancient climate state. The increasingly continuous record of Martian rocks that date from >2 Ga to 140 Ma, in addition to a lone Noachian rock (ALH 84001) at ~4.1 Ga, represents a remarkable opportunity to identify trapped atmospheric gases in meteorites that span the geologic history of the planet. 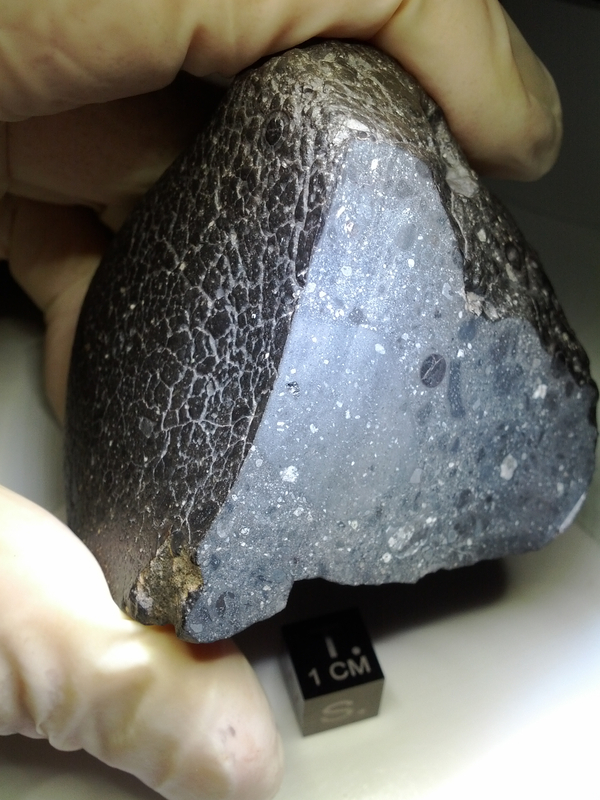 This project aims to determine the chemical and isotopic compositions of noble gases in a diverse suite of these meteorites. These data will provide novel constraints on the evolution of Mars' atmosphere and its relationship to outgassing of the planetary interior and atmospheric escape. The results may offer a unique window into planetary habitability and the role of greenhouse gases in stabilizing water on Mars during the late Noachian and Hesperian. Ages of geologic features observed on planetary bodies throughout our solar system are based largely on the extent to which they have been subjected to impact cratering – the older the terrain, the denser the cratering. This crater density - age calibration is based, in part, on samples returned from the Moon during the Apollo missions, where rocks from a variety of terrains were collected. Radioisotope analyses conducted in laboratories provide the critical link to an absolute age. The earliest era of this cratering chronology is particularly difficult to constrain, as lunar impact rocks have been reworked and redistributed great distances due to millions of years of large, basin-forming impacts. By performing detailed Ar-Ar, Sm-Nd, and Pb-Pb age dating, we hope to improve our understanding of the early lunar cratering history.